Do copied spells include kicker costs if paid when cast originally? There are several ways of taking infinite turns with Nexus of Fate . Yes, one of the newer ones is using Primal Wellspring but I think those decks want to win off Expansion / Explosion rather than Teferi. I think the deck started out with just Teferi, Hero of Dominaria , Search for Azcanta Flip, and Chemister's Insight to help draw a nexus when you need it. It also had tons of "fog" effects which is very similar to taking an extra turn against the aggressive creature based decks. 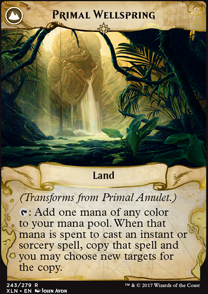 Now we also have the addition of Wilderness Reclamation which lets you float mana and activate azcanta an additional time each turn for every copy of reclamation you have. 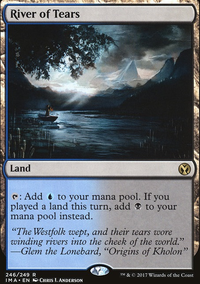 A board state with a flipped Search for Azcanta Flip, a Teferi, Hero of Dominaria and at least one Wilderness Reclamation would be incredibly difficult to beat without Unmoored Ego or something. Basically you copy Nexus of Fate 3 or 4 times using Primal Wellspring , then just do that over and over again by putting Nexus back in the library. At least, I'm 99% sure that's how it works. cdkime thank you so much for the clarification! Ilumiridielli! This is nuts! and if we add the Primal Wellspring effect, 20 damage could be tossed to the face for as much as 1 or 2 mana. And adding the Thousand-Year Storm effect, the damage output is insane! So, pretend for a second that I have Primal Amulet Flip in play, and that Fight with Fire was suspended by Jhoira of the Ghitu. a) When I cast Fight with Fire with no mana cost, can I pay de kicker cost? b) If so, this cost is affected by Primal Amulet Flip? c) If I were to kick the spell, and the make a copy of it, would it be the kicked or normal version of it? d) If I pay the kicker cost of Fight with Fire with Primal Wellspring, would it be copied? 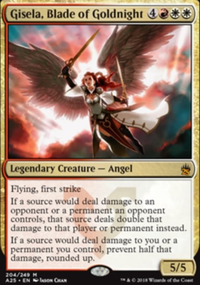 Hey thanks for the comment defs giving it a go with the Insult / Injury and also yeah ive run a few times with Jaya in there late game she was really good with the + mana ended up getting a great 20 Dmg Banefire with Her and Primal Wellspring Flip But yeah i think maybe dropping her to just 1 in Sideboard. The copy created by Primal Wellspring is not cast, so any abilities triggered on the cast will not activate. This includes Storm. You will only end up with seven instances of Grapeshot - the original, the copy from Primal Wellspring, and the five copies from Storm. Storm is a triggered ability that functions on the stack. “Storm” means “When you cast this spell, copy it for each other spell that was cast before it this turn. If the spell has any targets, you may choose new targets for any of the copies.” (Emphasis added). If a copy is created, you control the copy. That copy is created on the stack, so it’s not “cast.” Abilities that trigger when a player casts a spell won’t trigger. (Emphasis added). No, splicing a spell just adds its text to the existing spell on the stack. No, because the copies with storm are simply created on the stack, they are not cast, so neither artifact will trigger. No, you will get 5 instances of grapeshot (the original + 4 more). If Grapeshot is your next spell, you will get the orginal + 5 more, since your storm count is now 5. Just original. Primal Wellspring copies spells and storm is a triggered ability. 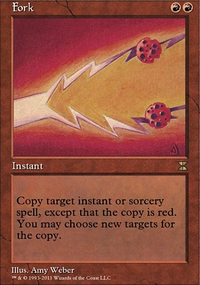 If you cast Grapeshot with Primal Wellspring with storm count 5, you will first get the copy of the original spell with 5 more , then the original spell will resolve and create 5 more copies for a total of 12 grapeshots. Note that copy created by Wellspring is not cast, so it will not increase your storm count. No, as explained in 1, it simply adds to the text of an existing spell. 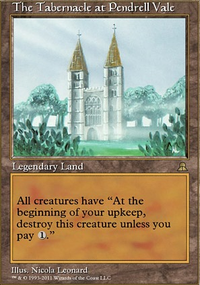 Thoughts on Vizier of Tumbling Sands able to untap a permanent for example your Primal Wellspring? And if with Paradox Engine most likely, you would have double wheel effects almost indefinitely as long as you draw a wheel card. 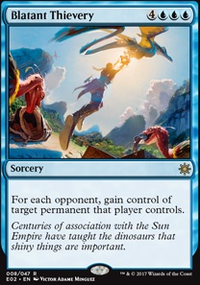 Also, I think Leyline of Anticipation would favor this deck to combo faster taking advantage of your opponent's end of turn like casting punish cards at end of your opponent's turn then wheel effects on your turn.